If you need a new smartphone priced at around $300 and you're not impressed by the current crop of mid-range handsets that fit within this budget, a device that may worth your attention is the Google Pixel XL. Of course, this is not a new phone model per se, as it's now 2 years old, but you can currently buy its unlocked 128 GB variant, brand new (as in not refurbished), for $329.99. At the moment, it looks like B&H is the only retailer that's selling the unlocked Google Pixel XL 128 GB for $329.99 - via this link - with US warranty. We're talking about the GSM+CDMA version of the smartphone here, which is compatible with all major US carriers: Verizon, AT&T, T-Mobile, and Sprint. Mind you, $329.99 is the lowest Pixel XL 128 GB price we've seen thus far (not taking into consideration refurbished devices, or those sold without US warranty). Do note that this B&H deal will expire on November 15. Usually, we're not too keen on recommending 2-year old smartphones. 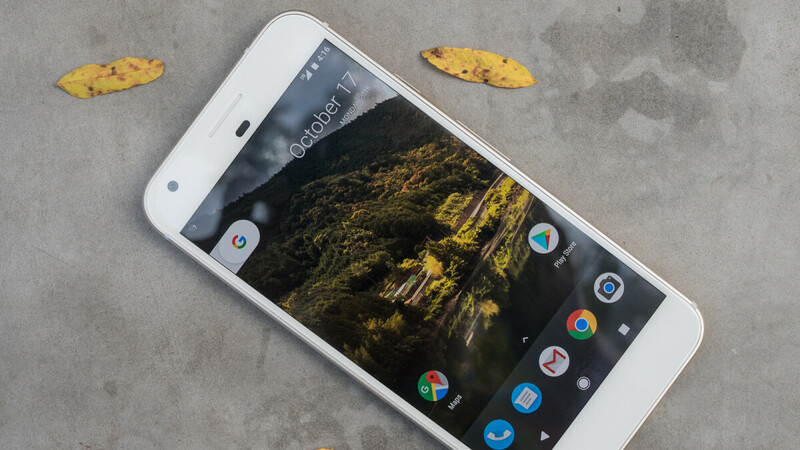 However, the Google Pixel XL can be officially upgraded to the very latest Android 9 Pie, and it's guaranteed to receive security updates until October 2019 (at least). Furthermore, alongside 128 GB of storage space, you're getting a still-decent Snapdragon 821 processor, 4 GB of RAM, a 5.5-inch display with 1440 x 2560 pixels, and a rear camera that can take really good photos. Sure enough, this ex-flagship's large bezels are not too attractive now, when most handsets employ near-bezel-less designs, but it's likely that some customers don't see this as a deal breaker. Do you think the Pixel XL 128 GB is worth $329.99? If not, what other phones (with US warranty) would you consider getting at this price instead? Does this version have stereo speakers ? I don't think so....could still be used as an Android iPod I guess. explain the relevance of this comment. You are getting a 128GB portable media player (if you bought this), in case you don't want to use your primary phone to watch movies or videos. Having a stereo speaker would have sweetened the deal. But its still fine, not a deal-breaker since it has a 3.5mm headphone jack. This is still one of the great phones with android pie. I still love it.